Chinese Whiskers is a modern fable set in the chaotic and ever-changing landscape of early twenty first century Beijing. Soyabean is a middle class cat looked after by a cynical but kind grandmother who embodies traditional Chinese morality. Tofu is a dustbin cat, born to a stray cat mother in a dustbin in the backyard of a disgraced university professor. They are brought together when they are adopted by foreigners who live in a traditional style courtyard in Beijing’s hutongs. Their idlyllic life as pampered pets is interrupted when Soyabean is offered a job as a model for a new brand of cat food. At the same time a mysterious virus is sickening people across the city and it is cats that are being blamed. Chinese Whiskers is a window to the rhythm and texture of life in the hutong neighbourhoods of imperial Beijing. Interweaving real episodes in recent Chinese history such as the Olympic Games, SARS virus and tainted pet-food scandals with a richly imagined world, this heartwarming story of cats and humans will make you laugh and tear up, and think again about the battles that we all fight between the corruption of modern living and the ideals of traditional life. Fables are universal, and the issues Chinese Whiskers deals with are too.... This is Aiyar's first novel, and with any luck the adventures of Tofu and Soyabean have only just begun. The cats have a way of purring their way into your heart, and you’ll find it hard not to finish this novel in a single sitting. A well paced and heart-warming animal story about courage, modesty and justice, set against the backdrop of Beijing’s red-walled hutongs, makes for entertaining and endearing reading. In a concise and gripping tale, Aiyar conveys the chaotic and ever-changing landscape of Beijing in the early 2000s. 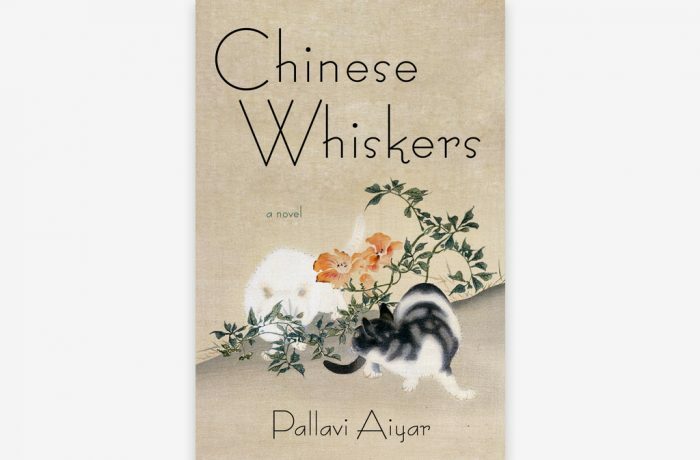 Chinese Whiskers is an endearing story of how a dynamic China is affecting the lives of its people and animals… the story of the two cats deals with a serious subject in a manner that even a 10-year-old can enjoy. Teens and even pre-teens who would not be ready to tackle any of the other China expat memoirs will find in Chinese Whiskers a wholesome but engaging plot. A touching, pastel-coloured close-up of urban China...Aiyar take us away from the main streets and guides us through terrains where other Chinas reside. A gentle happiness abounds in this simple tale, set against the backdrop of a rapidly changing China. Modern consumerism clashes with traditional Chinese culture, as observed by two cats in this small charmer. The book, in a humane and funny manner, literally gives a voice to animals and thus allows an outside perspective on humans.